There was a time when Heather and I had our favourite shows. Embarrassingly, Survivor often topped that list, as did American Idol for a time. House was another show we gravitated to and certainly Bones, but beyond that we really didn't watch much else. We got our first taste of the temptations of series watching with the purchase of the first season of The Sopranos, followed by seasons two through seven. We locked on to Mad Men, The West Wing, Slings and Arrows, and finally, one of the most acclaimed of all, Six Feet Under. As we neared the end of that six season adventure, and what many say is the best series finale ever, I began searching for what needed to be next. 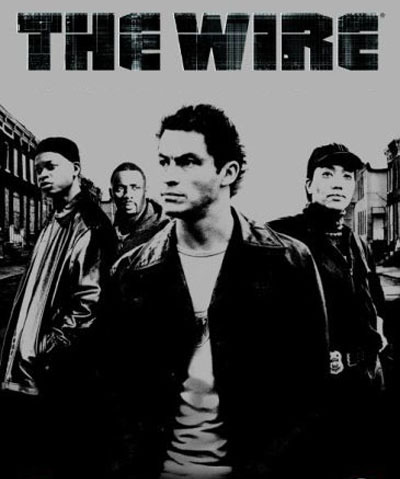 The show that consistently popped out was David Simon's The Wire (2002-2008). "One of the greatest television shows of all time, David Simon's The Wire transcends the medium with its blend of gripping character drama and vital social commentary," said the website www.theTop13.com. While it doesn't always fall in the number one spot in the various listings scattered throughout the web, it is always there when the list is founded on quality. 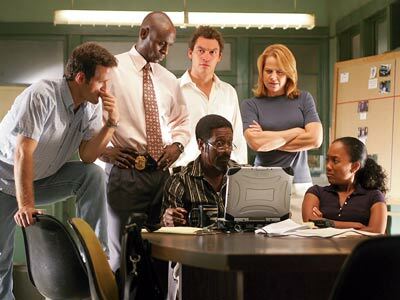 Set in Baltimore, each season of The Wire focuses in on one stratum of crime in the city along the banks of the Patapsco River founded in the early 1700's. 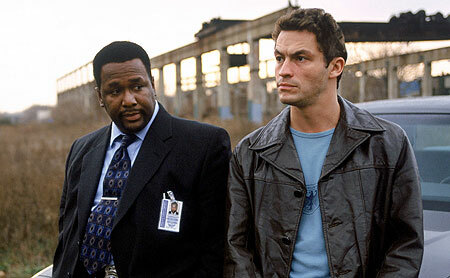 Season One wove its way through a comprehensive investigation of the drug trade in the projects. Season Two has focused on the criminal element on the docks. We will sit down to watch that season's finale tonight. Every night when we are both home, we sit down and enjoy an episode (or two) of our latest series. If one of us is not home, it doesn't get played; that's a rule that is hard and steadfast. So, on the rare occasions when I have a late meeting or if Heather is away on a course, it's back to regular television or good old fashioned reading for entertainment. Similar to the way it took about half a season to get hooked on the dark qualities of Six Feet Under, The Wire has firmly nestled its way into each of us and our evenings are not quite complete until we've had a chance to sit down and enjoy an episode.